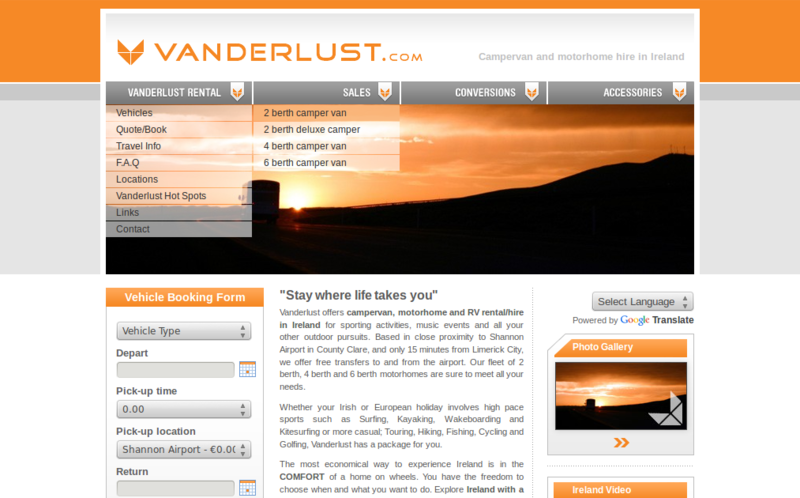 Vanderlust.com are a campervan hire and sales business based in Ireland. The original build was in 2007, the brief was to build a booking system and payment gateway for their campervan hire business. The booking process automatically calculates the insurance costs and we used RealEx payments redirect method for the payment gateway. On the admin side the website also features a bookings sheet system so they can easily manage their vehicles, and newsletter functionality that is executed by a cronjob in the middle of the night. 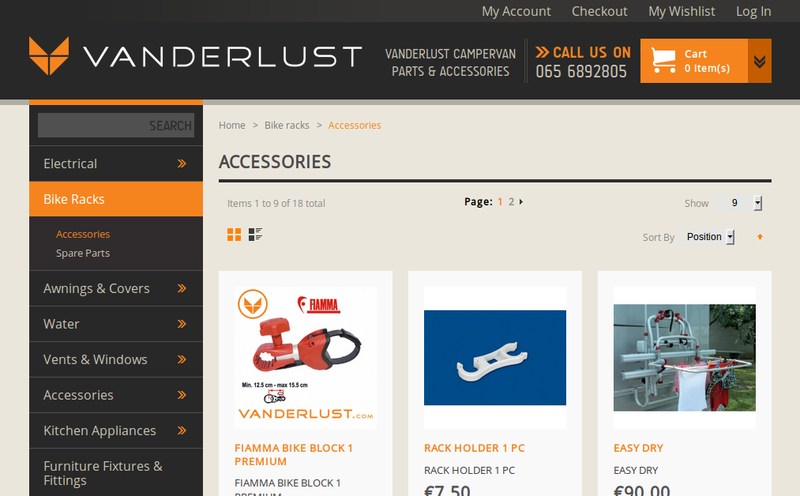 Since then we have added a Magento shop for the accessories business which is updated from their local Lightspeed stock management database. 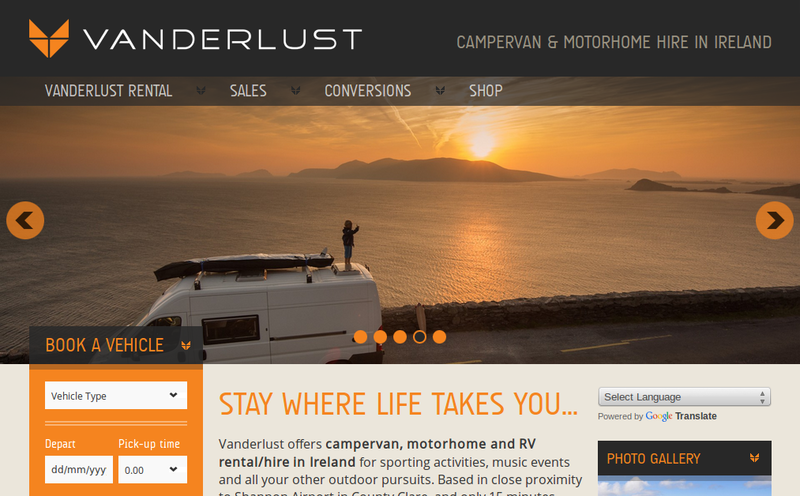 The website has recently (March 2015) been reskinned to make it responsive to different devices and to unify the designs of the different areas of the site as the accessories shop and the conversions pages were both using completely different templates. The original design was also starting to look a bit dated as it was designed for 800px wide browsers with no thought to responsive layouts.